We use the latest technological breakthrough for root canal procedures, which allows us to perform quiet, comfortable, root canal therapy, usually in only one visit. The rotary System is clinically tested to produce superior results for patients when compared with other leading technology. 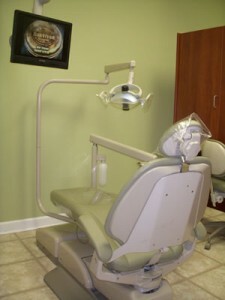 With an intraoral camera, we can magnify your mouth and show you exactly what we’re talking about on a computer screen. This allows you to see for yourself the crack, the stain, the gap, and the receding gum line. You need not take only our word for it anymore. Our patients have realized many benefits since we computerized and networked our treatment rooms. All intraoral and extraoral photography, patient records, written communication, and clinical information can be shared between the doctor and treatment areas instantly. Making sure you get the right look, feel and function is the goal. The diagnostic wax-up model of your restored smile gives us a record of what you want so we begin the process with your results already known. The model shows your new smile in its natural color and translucency. We also see how your new smile will improve any bite problems you may have. With the diagnostic model you are empowered to preview, give suggestions, make changes, and approve your personal “Smile Plan” before any procedures are begun. Not only can you see the excellent quality of the esthetic changes in your new smile, the model also gives you considerable assurances of feel and function. Dr. Evelyn and the hygiene team are proud to utilize dentistry’s latest technological advancement - laser periodontal therapy. In restorative and cosmetic dentistry we can contour and trim gum tissue easily and comfortably with almost no discomfort. Unlike removing tissue with a scalpel, a laser doesn’t cause bleeding or swelling. Having a comfortable post-operative experience is now the norm. The laser can be used in conjunction with root planing - deep cleaning around the teeth and root. This kills bacteria that cause periodontal disease. Ask any of our staff about the benefits of laser therapy. The Cavitron ultrasonic cleaner is a state of the art instrument that has proved to be an extremely successful tool in removing tartar from both above and below the gum line for a thorough cleaning. Instead of scaling your teeth with bulky metal hand scalers the cavitron ultrasonic cleaner uses oscillating sound waves to gently vibrate the tartar away from your teeth. The Cavitron unit is so gentle that it can even be used to administer deep cleaning and gum therapy many times without the need for anesthetic. Having your teeth cleaned with the Cavitron unit is a safe effective and painless alternative to traditional cleaning methods. A Cavitron vibrates at the speed of sound so quickly that you can hardly feel any movement this ultrasonic method is a more pleasant alternative. The Panorex X-ray is a single picture of all your teeth and surrounding bones. The resulting X-ray allows Dr. Evelyn to see the entire upper and lower jaw, the temporomandibular joints (TMJ), the nasal sinuses and their surrounding bone and the mandibular nerve, which provides sensation to the teeth and gums of the lower jaw.